Sonos, maker of multiroom wireless home speaker systems like the Multi-Room Music System 2.7 and the Play:3, released the latest version of its Mac Controller app on Tuesday. The Controller app, which allows users to remotely control their Sonos speaker system, recieved updates that include a sleeker look and improvements to search, streaming, and volume control. In addition to a revamped look, version 3.7 of the Mac Desktop app affords users even greater control over music streaming. It features a pop-out mini-controller of album art that allows users to control streaming without launching the full app. The latest version also offers an improved search function that incorporates users’ music libraries with Internet radio stations and subscription music services such as Pandora, Rhapshody, Spotify, and Mog into one integrated search function. It also utilizes drag-and-drop functionality for an improved playlist interface that mimics the iOS app experience. The update also improves existing features and controls such as sleep timers and alarms, which are now more accessible and available from the app's main window. 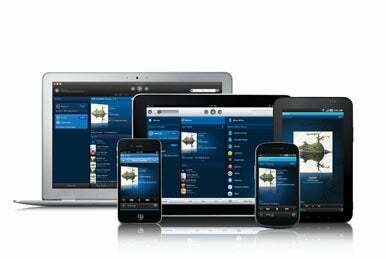 Users also have access to instant volume control with one-touch Party Mode, which allows users to set the volume in multiple rooms at the same time. Sonos also released an update to its iOS app, which now includes language support for Brazilian Portuguese. Sonos 3.7 for Mac is a free download available on Sonos' website; it requires Mac OS X 10.6 or higher. The iOS app is available for free from the App Store and is compatible with iOS devices running iOS 3.0 or later. Karissa Bell is a San Francisco-based freelance writer.